I noticed last week that I have a lot of random photos in my "to use" folder for posts. A LOT. So why not feature several today? 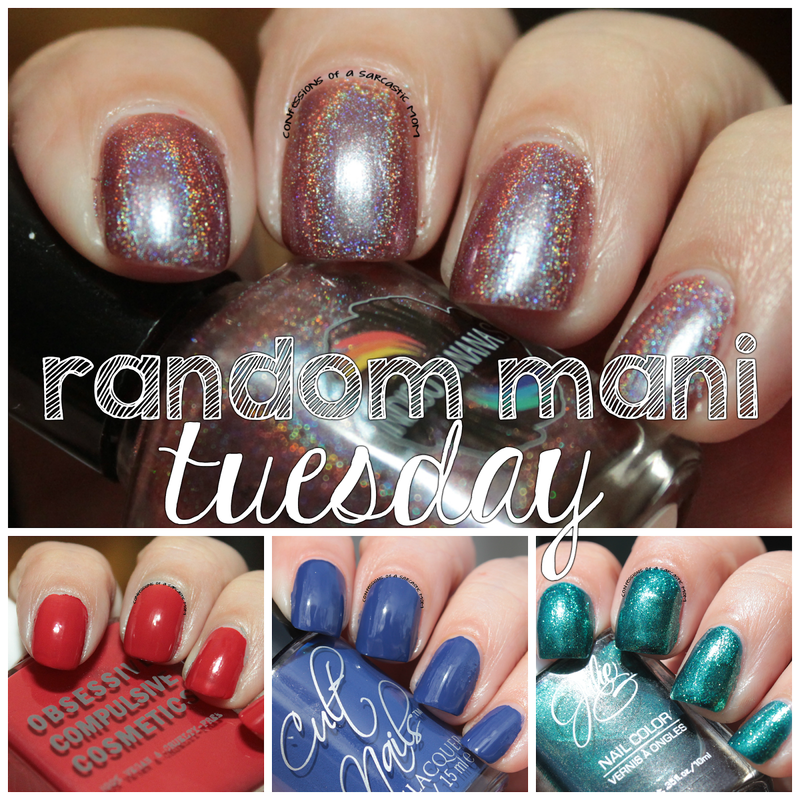 I've got Indigo Bananas, Obsessive Compulsive Cosmetics, Cult Nails and Julie G to show you today! Indigo Bananas Endless Nights: I LOVE this one. 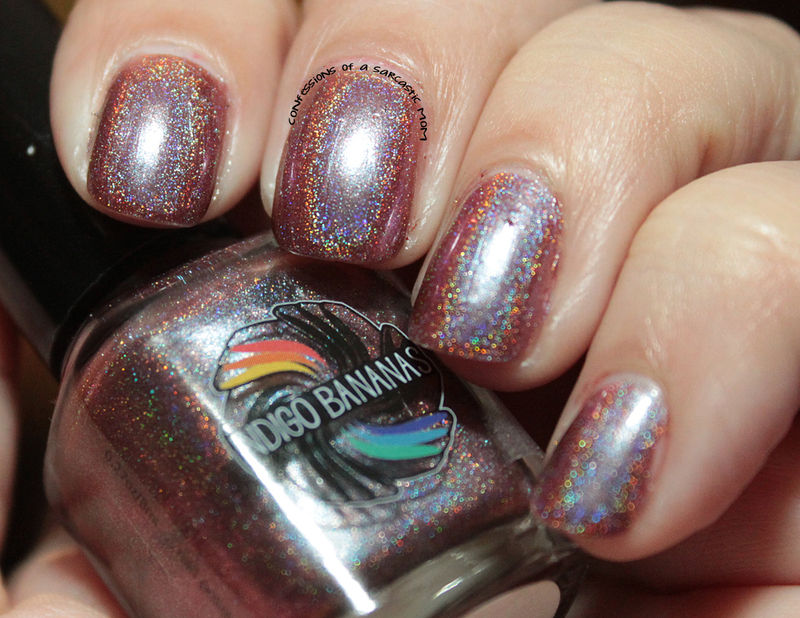 It's such a great shimmer with such pretty holo. It flashes blue and plum, and has some coral in it, as well. It is, unfortunately, sold out, and I think it's sold out for good. But if you like it, be on the lookout at blog sales and destashes. Obsessive Compulsive Cosmetics Psycho: A rich, bright orangey red. The formula is creamy and goes on perfectly. Unfortunately, this one has disappeared! It's like they don't even sell it anywhere anymore. I don't understand why. I wonder if it may have been limited edition? Cult Nails Wack Slacks: So I'm on a roll of "unavailable" polishes. 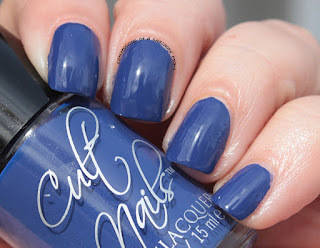 Cult Nails has long been on of my favorite brands, but they closed up shop last year :( This is the gorgeous blue of Wack Slacks - and it's definitely one you need to be on the lookout for. Pictured is one coat - it's that pigmented! Julie G Poker Teal-er: One that's available! hahah I love Julie G polishes, and actually I love all Jesse's Girl stuff! Julie G is a line of polishes produced within Jesse's Girl. Poker Teal-er (what a crazy name, huh?) It's a super shimmery, almost floaty teal. I say "floaty" because it feels fluid, like the finish moves in light. It's so hard to explain haha - almost like it's swimming! 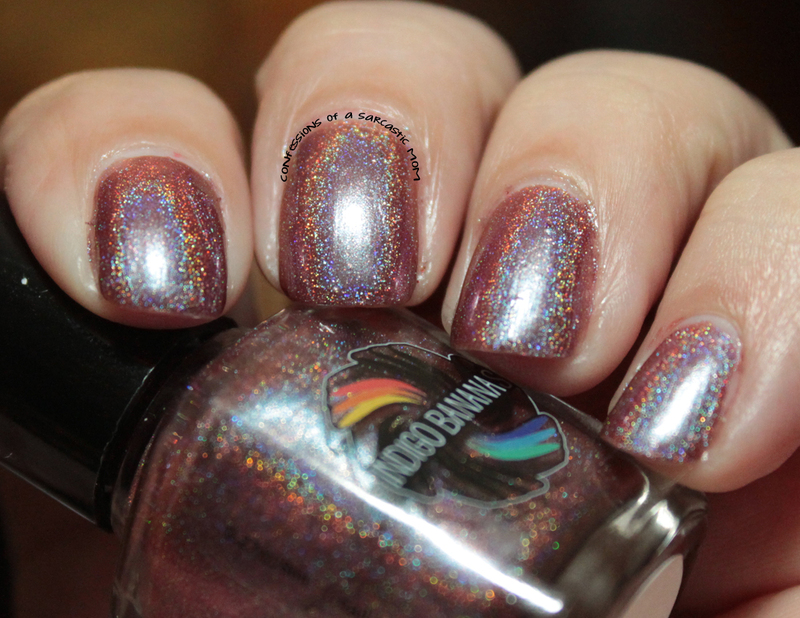 I did have staining with this polish, so be aware of that! *phew* Got those out of the way haha! What's on your nails today? Do you have a favorite polish?